Fine dining at Ralph's on the Park comes with a view of City Park. 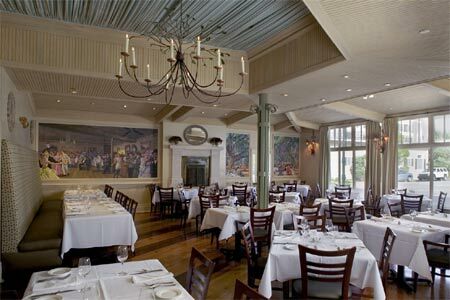 : Ralph's on the Park from restaurateur Ralph Brennan is an elegant, airy room sitting directly across the street from City Park. Traditional décor with white tablecloths, French doors that lead to an open-air balcony and shiny hardwood floors make this a comfortable place to take your time. The menu strikes a fine balance between fresh seafood (try the brown butter-glazed flounder with crab) and heartier fare, such as soy-glazed lamb ribs, a grilled double-cut pork chop, and in colder months some creative game dishes. The wine list balances interesting small-lot wines from the world over with a smartly selected array of California brand name selections. Pay special attention to the Unusual Suspects section where you might even run across something as rare as a 1993 Duckhorn Cabernet Sauvignon. Pricey? Yes. But you deserve it, don’t you? Reserve a window seat overlooking the park, or settle in at the bar.